I'd like to attend. Please send me brochure! This tour is only open for three days from 10am to 5pm. This is a self guided tour. So spend the day enjoying the majestic mountain views and take your time visiting each artist's studio location. Some artists will be demonstrating so that you can see, first hand, the skills they use when creating their artwork. You can download the map from this site; keep in mind that it is smaller than the brochure map. 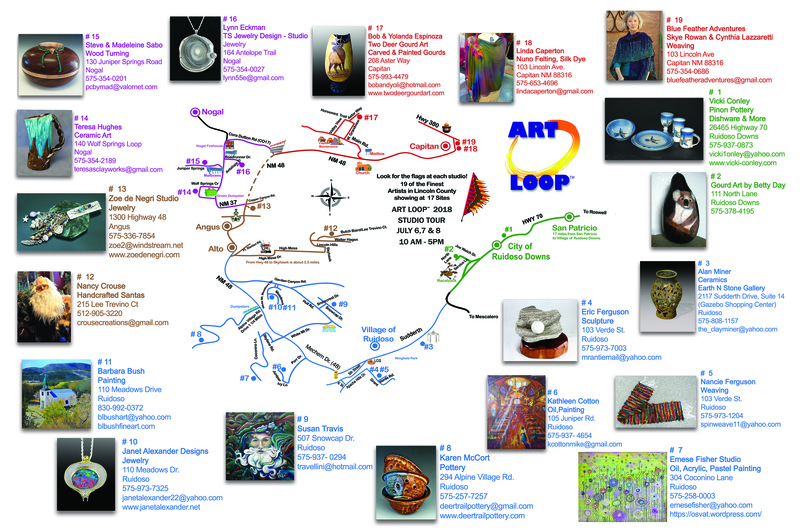 Down load our 2019 Art Loop map by clicking the JPG file below.